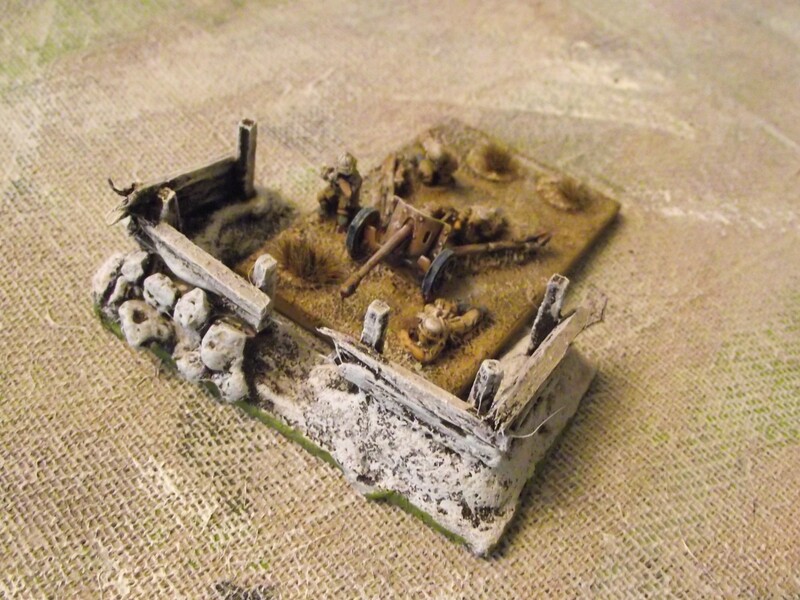 As part of the plans to fight some defensive battles I looked at the defences a player can buy in the battlegroup builder lists – which are quite exhaustive. I decided I would at the least build as much as I could – and purchase what I can’t. 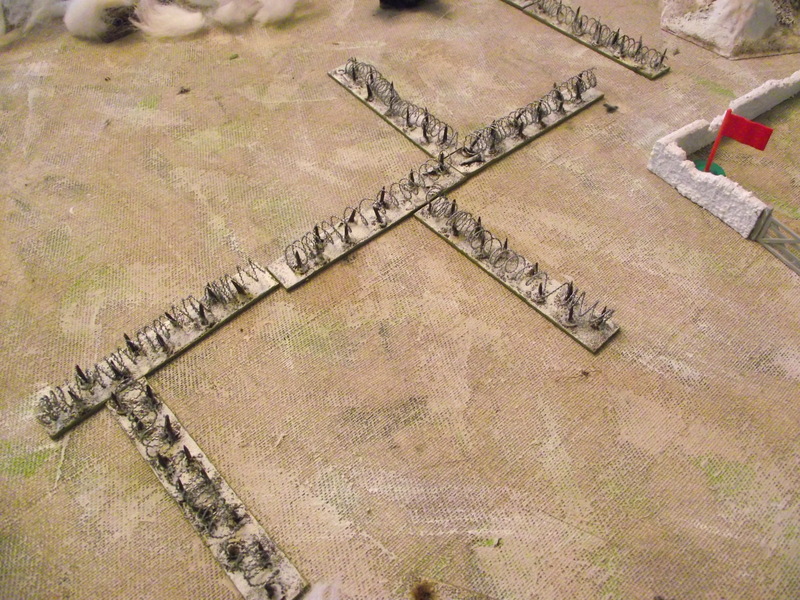 First up barbed wire and tank ditches. For the barbed wire I decided to do 5″ lengths (the list allows you to buy them by the 10″). 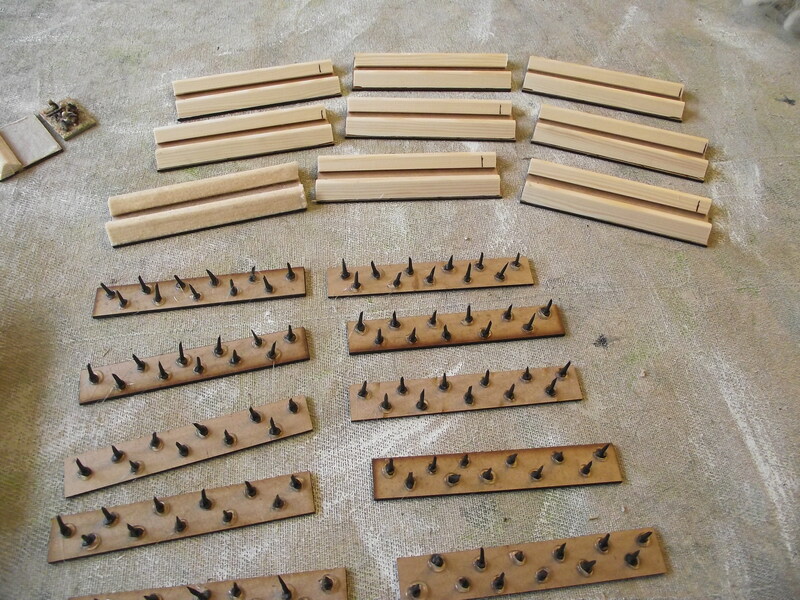 For the wire stakes I was going to cut a million and one match sticks up – but had the brilliant idea of using tacks – the small metal nails with a round top. Sticking them upside down along the base they were very sturdy. Covering with sand, under coating and then dry brushing I then used some twisted wire for the barbed wire (which I bought 15+ years ago!). I think they look pretty good. I now have about 100″ of barbed wire. 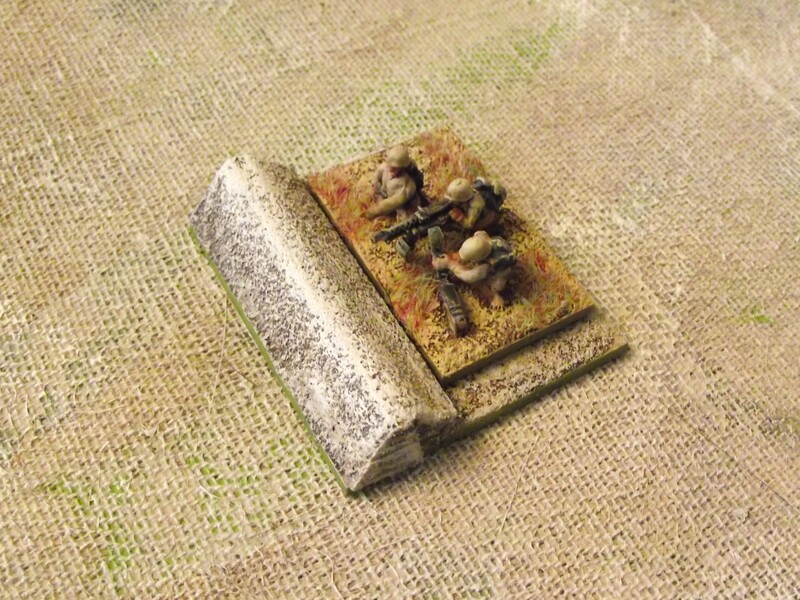 The tank ditch was created by using wood mouldings for the local DIY shop – I just used two on a base to create a ditch – undercoated, dry brushed and voila!! I have 35″ of this now, simple but effective!! 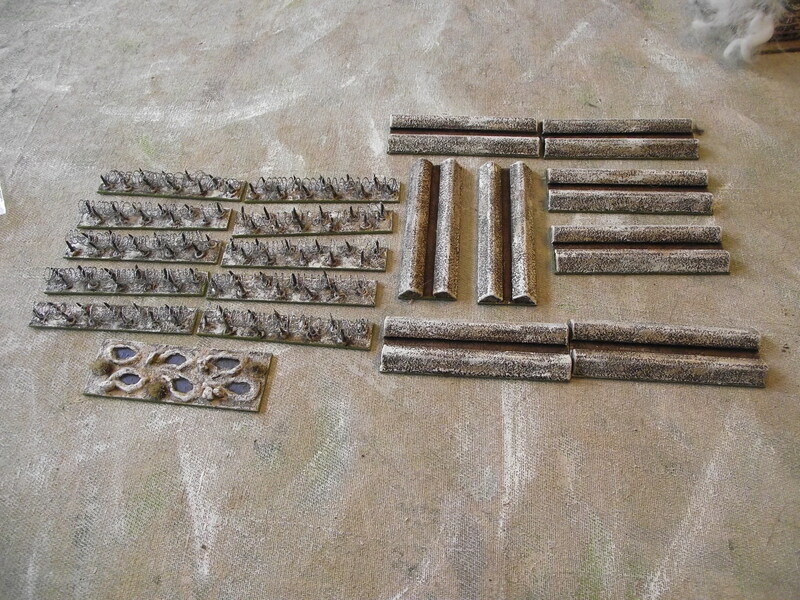 Above – basics stuck down and awaiting undercoat. Some of the wire in action!! 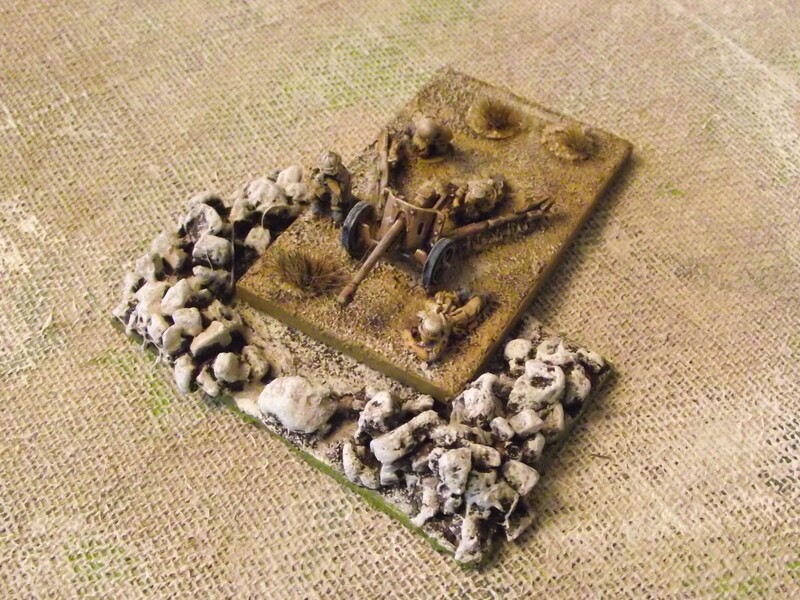 And a simple gun team defence, which is almost useable but not required now. So my lack of anything like ability to build things means I will be buying weapon teams positions and gun pits!! Some good ideas there, and they all look fine to me. Working on something similar myself currently as it happens!